Louis Renault files the patent for the direct drive gearbox. 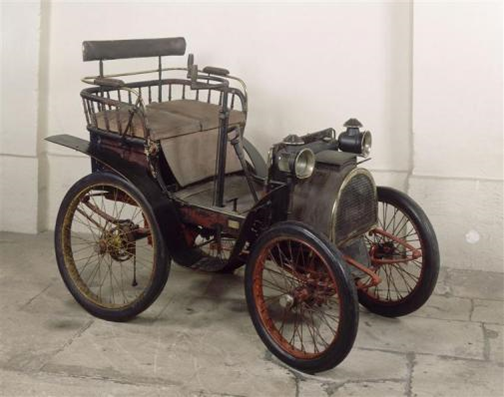 The first vehicles constructed at the end of the 19th century had a chain and belt transmission system. Louis Renault was looking for a new method and invented the "direct drive". He filed a patent for "Transmission and gear change mechanism for automotive vehicles". Encouraged by his brothers, he decided not to sell this and, a few weeks later, collaborated with them to found the company Renault frères. From the very first year, success was achieved with 71 orders for vehicles fitted with the direct drive gearbox. More effective, more compact, less noisy and above all more efficient, this mechanism was a development which was rapidly copied by other manufacturers. His patent earned him 3.5 million francs until 1914 when it fell into the public domain. Louis Renault did not stop there, but filed 174 other patents in the following years. Book : Jean-Louis Loubet, histoire de l’automobile française (History of the French automobile), Seuil, 2001.